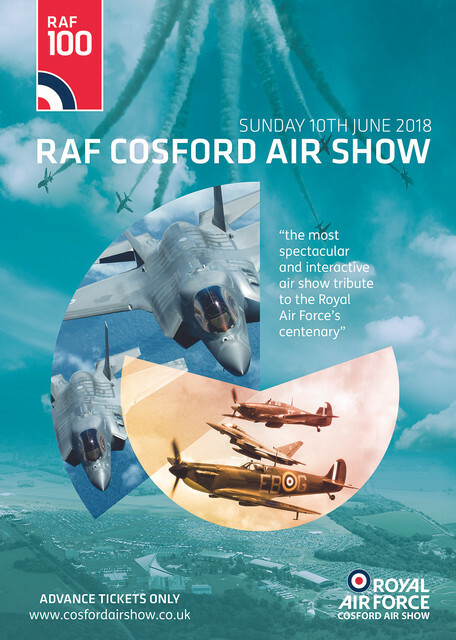 Confirming that the Cosford 2018 show will be held on Sunday 10th June. Aeropro EuroFOX 912 - RAF100 GBNZ Expedition (F) ?? 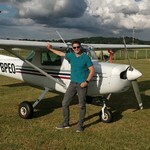 Miles Magister - Private Owner (F) ? Last edited by Cole on Wed 28 Nov 2018, 10:45 pm, edited 46 times in total. Really enjoyed this years show, can't wait for the participants for next year to start being announced ! I see Cosford have updated there FB page with some nice F35's. So are we to expect them at shows next year. Mooshie1956 wrote: I see Cosford have updated there FB page with some nice F35's. So are we to expect them at shows next year. The much travelled plastic replica? It is a Farnborough year, so the real flyable thing might hop over, but Cosford seems a bit early in the year. Yeah, I agree, but maybe it could also depend on when deliveries to the UK take place, too? IIRC most press releases have simply stated that the UK's first F-35s will arrive here in "summer 2018", pending a more exact date which I haven't yet seen, a flypast or something could be within a shout. It's 2nd October - I wouldn't read too much into artwork on a show's Facebook page, tbh. If the Lightning Force HQ twitter account is still correct (stated 12/3/2016) the exact arrival date is 1st June 2018. Also according to the Engineering officer in charge of fixed wing procurement who tweeted 4 days ago.... the 617sqn official stand up will occur week commencing 6th August 2018. When do tickets usually go on sale? (I see something about £25 advance tickets but can't see where to book) What's the difference between advance tickets and normal tickets? Also the website mentions you can combine airshow ticket with rail ticket, is that from Birmingham? jasonT1981 wrote: When do tickets usually go on sale? (I see something about £25 advance tickets but can't see where to book) What's the difference between advance tickets and normal tickets? Tickets for the 2018 show are on sale via the Cosford Air Show website and through their ticket hotline. As for the combined rail and show tickets they tend to go on sale a lot closer to the show. You can purchase them form any manned station and you get a reduction in the cost of the admission ticket, approx £5.00. Hope this helps. Lo que volará volará whatever will fly will fly!! The new website looks amazing !!! Website looks better than previous years already ! It says that they aim to have 100 aircraft on static display to represent 100 years of the RAF. Does Cosford have the space for 100 aircraft ? Surely they can't all be prop trainers. If they get the right aircraft out of the museum this could be a spectacular static display that will never be repeated. Thanks, can't find where to buy the tickets on the website though. When I click buy tickets it only gives me the phone number to ring. Is it worth going for the Cosford Club? Or just stick with normal admission? Also, If I go with the Cosford Club, is the entrance included in the price, or do I have to buy normal entrance and then upgrade like the RIAT grandstand/enclosures? jasonT1981 wrote: Thanks, can't find where to buy the tickets on the website though. When I click buy tickets it only gives me the phone number to ring. Hi Jason, our online ticket sales will go live at some point over the coming weeks, so keep checking back on the website soon. jasonT1981 wrote: Is it worth going for the Cosford Club? Or just stick with normal admission? Also, If I go with the Cosford Club, is the entrance included in the price, or do I have to buy normal entrance and then upgrade like the RIAT grandstand/enclosures? When you purchase your Cosford Club ticket, admission to the show is included. Other benefits of the enclosure include a complimentary Souvenir Programme, and freshly made picnic-style produce available to purchase throughout the day. First participant announcement or tickets on sale now ?? Both I think. What better way to put tickets on sale than with an aircraft announcement? How about some static announcements. All off the Cosford site. Mooshie1956 wrote: How about some static announcements. You've missed what is undoubtedly the biggest announcement thus far, that the RAF Museum's Boulton-Paul Defiant I will be on static! Author, visionary, dreamweaver... Plus actor. Boulton Paul Defiant is really awesome. Trying to think what usual numbers are, but that sounds like a massive increase on the normal numbers. Tommy wrote: Trying to think what usual numbers are, but that sounds like a massive increase on the normal numbers. There were between 60 and 70 aircraft on static display at the 2017 airshow, from memory. Reading the brief on the website, this is a very interesting concept, and different; different to a typical Cosford and to anything else for that matter. I'll be looking forward to it, although I confess my initial thoughts are how am I going to do justice to both ground and air in a single day, when its all going on together. Nice problem to have I suppose.